Don't miss out on this corner lot with spectacular Ocean, City and Mountain views! Located in desirable Dunbar area. Beautiful spacious floor plan with solid maple hardwood throughout, marble fireplace, gourmet kitchen with granite countertops, stainless steel appliances, Bosch dishwasher, large island/eating area w/French doors that open to deck/barbeque area w/ fenced yard, perfect for entertaining & relaxing. Master bed w/ rooftop patio. Full crawl space beneath house for extra storage. 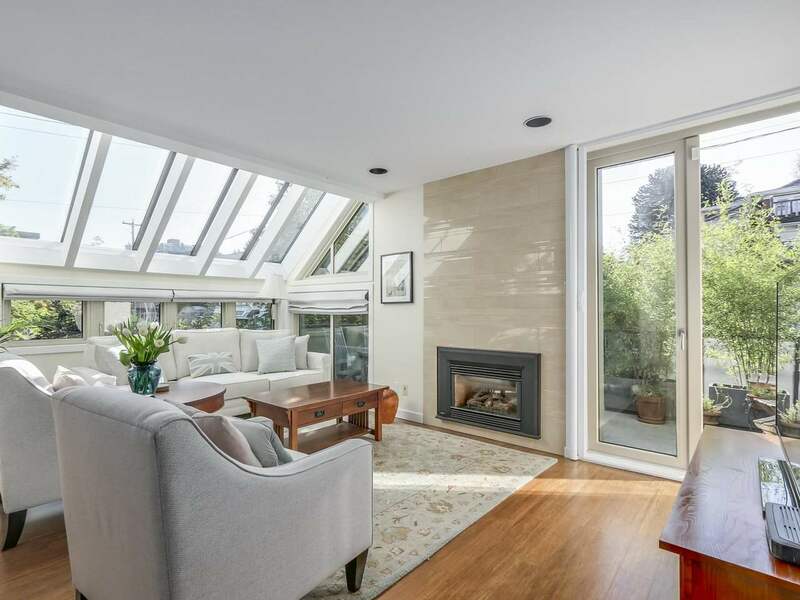 Prime location w/ close proximity to Lord Kitchener, Carnarvon, Trafalgar Elementary and Prince Of Wales, Lord Byng and Kitsilano Secondary, shops, restaurants & parks. 10min drive to UBC. Listed by RE/MAX Crest Realty Westside.